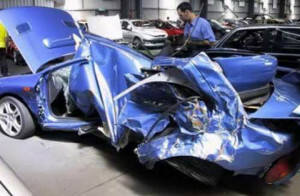 Damaged cars can be a burden for owners, not only are they inoperable on occasion, but they may also require a large amount of money for repairs. Faced with this situation, many people believe that they have no options. However, figuring out how to sell your damaged car is one of the best choices that these owners can make. This is especially true with cash2junkcarz because we will pick-up your vehicle and pay cash for it on the spot, making it an asset rather than a problem. cash2junkcarz is one of the most well-established and experienced used car buyers that you can turn to when figuring out how to sell a damaged / unwanted car. As dedicated junk car buyers in portland oregon who work only with clients looking to sell their vehicles, you can rest assured that you will experience competitive pricing and outstanding customer service. you have nothing to lose and everything to gain when you take the first step to sell your damaged /broken/unwanted or any car.